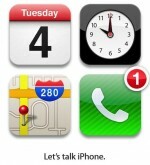 Apple’s iPhone 5 media event is being held today, October 4th, at 10AM PST in their on-campus Town Hall Auditorium in Cupertino, California. Unfortunately, invited press members are the only ones who will be able to watch the announcement as it happens, with word from an Apple representative via 9to5Mac that the company will not be offering a live public video stream. As Apple has done in the past for previous media events, the video footage will likely be made available via the Apple.com website a few hours after the conclusion of the presentation. Tapscape will be providing timely coverage as new information comes to hand.